A shocked friend sent me a link obtained from facebook that led me to a page carrying a link to Pranab Mukherjee’s personal website. The above picture is the picture of that page obtained through screen shot. As I clicked on the link there and the site opened, I was so shocked that I could not believe my eyes and ears for what hit me. I suspected the facebook link. Then I made a google search for Mukherjee’s personal website. I found the same link also in the google search page. The picture below is the picture of the google search page obtained through screen shot. The so-called Congress high command, in the past, had planted some of its loyal factotums as President of India taking advantage of the constitutional provisions that the President would not be elected directly by the people. But no sycophant of the Congress high command, preceding Pranab in the President post, had, after becoming the President, ever shown the audacity of calling upon the countrymen to proceed hand-in-hand with the Congress Party. Pranab is doing this. The background song of his personal website gives this call. Click here to see the site and to hear the song. If the google search result is correct, if the link to his site in the facebook is not incorrect, if the site is really his site, Pranab Mukherjee deserves to be censored in the strongest term one can use. No Indian, worth the epithet, can digest such destruction of the dignity of India’s President. Mukherjee must ensure that the song of his mad loyalty to the Congress Party, in use as the background song of his personal site, is instantly deleted; because he has, howsoever unfortunate for India is his election to the august office, become the President. A cartoon is any of several forms of illustrations with varied meanings that evolved from its original meaning. In modern print media, a cartoon is a piece of art, usually humorous in intent . This usage dates from 1843 when Punch magazine applied the term to satirical drawings in its pages, particularly sketches by John Leech. Odisha has had a long history of caricature. 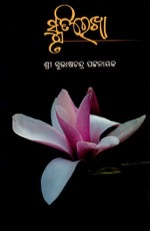 Humour and satire occupy an important place in Odia literature. But unfortunately, there is no documental evidence as to when cartoons first appeared in media in Odisha. It appeared that Niankhunta (Editor: Godavarish Mohapatra, 1898-1965), a satirical magazine in the line of Shankar’s Weekly first started to publish cartoons regularly. 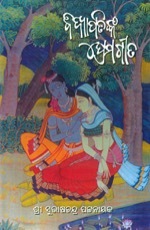 Niankhunta (The Firefling) was first published in 1938 and continued till 1964. 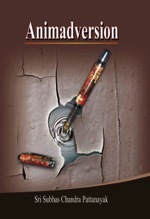 After decades, it again started publishing from 2009 with almost the same content mix- including political and social cartoons. Samaja and Prajatantra also used to publish political cartoons occasionally in 1950s. Omkar Nath Panigrahi of Bolangir used to draw fine cartoons in 1940s. Faturananda (Ramchandra Mishra, 1915-1995) the well-known satirist was a fine cartoonist too. He used to draw cartoons in his college magazine, when he was a student of the Medical College in Cuttack. These cartoons were published in the name of R.C.Mishra. Later he drew cartoons for his literary magazine Dagara. His cartoons were published in National Front and other newspapers. He continued to draw cartoons till his eyesight failed. Dibakar Mishra of Talcher (founder of daily Khabar) used to draw cartoons in the Samaja in 70s and 80s. He used a penname: DKM. Satirical magazines like Niankhunta and Durmukha used to print several cartoons. In fact socio-political cartoons with highly satirical content were its major attraction. Niankhunta ceased publication long back. Durmukha continues to publish and cartoons are still its major attraction. Though Odisha has had a long history and tradition of caricature, and cartoons have been used in newspapers and periodicals, yet cartoonists have never got the kind of opportunity to work and credit and acclaim they deserve. It is only after 1980s that cartoonists got recognition. Some of them became household names. There is a practical reason for this. Offset printing came to Odisha only in mid-80s. Before that metal blocks had to be made to print any kind of visuals. It was expensive and time taking. Hence visuals were avoided unless it was absolutely necessary. Cartoonists did not have much opportunity to get published. After the introduction of off set printing system printing visuals- both photographs and graphics (halftone and line) became easier. It required little extra cost to print ‘halftone’ photographs and no extra cost to print ‘line’ graphics. Newspapers started printing cartoons in greater number. Sambad was one of the first mainstream Odia newspapers to have introduced daily pocket cartoon. It was also one of first daily Odia newspaper to have appointed a cartoonist as its regular staff, a trend promptly followed by other major newspapers. It was in late 80s and early 90s that a bunch of young and talented cartoonists like Sudhansu Deo, Gyan Rath, Kishore Rath, Shilpi Ashok and Kesu Das emerged in the media world of Odisha. Almost all newspapers carried stand alone and daily pocket cartoons. Kishore’s daily pocket cartoon ‘Katakha’ published in Sambad became very popular. The craze for cartoons waned a bit in the next decade. One of the reasons for that could be that newspapers preferred to print photographs instead of cartoons. It could be said that cartooning in Odisha came of age in 80s. As Sudhansu Deo, a leading cartoonist of 80s said, “Earlier there used to be mostly illustrations with exaggerated features of known figures to evoke laughter”. The emphasis was more on illustration than on the theme. It was only after the 80s that cartooning was regarded as a separate art form in Odisha. Late 80s and 90s saw some young cartoonists maturing into excellent artists. 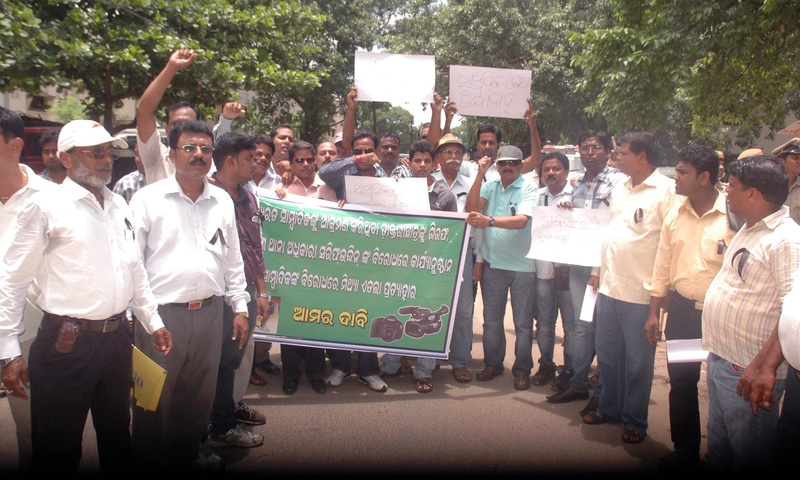 However, the new millennium saw a decline in the quantity and quality of cartoons in mainstream print media in Odisha. This phenomenon is not exclusive to Odisha. It has been witnessed in other states too. Priya Pande writes about this : … There is also the aspect of changing habits of readers. In the earlier days, papers used to be crammed with news matter particularly on the front page, with the pocket cartoon providing the only visual relief. Today, not only has colour entered the front pages, the pictorial presentation and design gimmicks have completely edged the cartoon out to total insignificance. However, recent years have seen resurgence in cartooning, especially in new media platform. Sudhansu Deo is probably the first regularly appointed cartoonist in Odia media. 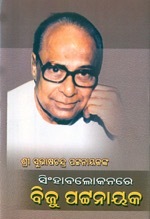 Before joining Sambad in 1984 he worked briefly in Prajatantra and then Samaja. He drew excellent pocket cartoons. In fact he was the first cartoonist in Odisha to draw pocket cartoons regularly. He also drew stand alone cartoons on burning issues of the time. He had a lyrical style of drawing like R.K.Laxman. Very soon, Deo became a household name. In late 1988 he left Sambad and went to Delhi and worked for several English newspapers and audio visual media. He also worked as an animation cartoonist for a Doordarshan cartoon serial project. He returned to Odisha and joined Khabar in 2007. He left Khabar in end 2009 to start an animation school. Presently he works as the principal of JBC Academy of Art and Animation. Kishore Rath, (born 1963), is a very talented cartoonist. He is working in Sambad since late 80s. A graduate in fine arts from Khalikote Art College, Kishore has set the trend of writing short rhyming verse with pocket cartoon. Kishore has his own unique style of drawing and a sharp sense of humour. A talented satirist, he also composes humourous poems. Shilpi Ashok (born 1958) has been drawing cartoons for the last twenty years. He used to work in Prajatantra. Since 2005 he has been drawing cartoons in the Samaja. 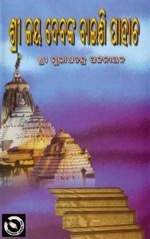 He publishes a cartoon magazine titled Silpi Ashokanka Cartoon Saptahiki. He has also published a compilation of cartoons of noted litterateurs of Odisha, titled Lekhaka Lati. Balasore based Kesu Das (born 1965) did his graduation in fine art from Khalikote Government Art College and masters from Mahatma Gandhi Kashi Vidyapitha, Benaras. He draws cartoons for newspapers and periodicals like Sambad, Dwani Pratidhwani, Samaja, Haribol, Durmukha. He is also an acclaimed sand artist and runs his art teaching school. As an artist he has won several awards like Odisha Lalit Kala Academy award as young artist (1987) and Academy of Fine Arts, Kolkata (2000). 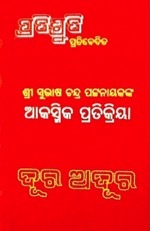 He has published a work book on how to draw cartoons using Odia alphabets: Barnamala Saha Sahaja Cartoon Shiksha (1998). He is also actively involved in preserving the languishing folk lacquer art of Balasore, in Odisha through Baleswari Kala Kendra, of which he is the executive director. Kamalakanta Rath drew cartoons for several mainstream newspapers and periodicals in early 90s. But gradually he shifted his focus to social issues. He is now active in drawing cartoons and illustrations in development magazines in alternate media domain. Chudamani Das, from Balasore began to draw cartoons for newspapers and periodicals like Durmukha, Dhawni Pratidhawini from 2000 after he completed his fine arts degree from Bhadrak Art College. He joined daily Prajatantra in 2003. 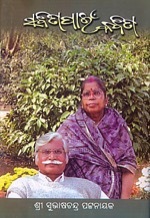 Aswini Kumar Rath and Abani Kumar Rath are brothers who work together. In fact they call themselves ‘the only cartoonist brother duo in the world’. Aswini has a PhD in botany. He is working as a Lecturer in Botany in Bolangir. Abani did his M.Sc in Chemistry. He is working as an officer in insurance sector. Their first cartoon was published in 1989. Since then their cartoons have been published in several local, national and international newspapers, periodicals and web sites. They have won many awards and honours. Their cartoons have been exhibited in the prestigious ‘First International Saloon of Graphic Humor-Lima-2008, Peru’, and won Honourable Mention prize in the 15th, 16th and 17th ‘Daejeon International Cartoon Contest in Seoul, Korea in 2006, 2007 and 2008 and Special Mention prize in the ‘2nd Free Cartoons Web International Cartoonist Festival’, China, 2003. Paresh Nath (born 1970) did his masters in English literature from Ravenshaw College, Cuttack. He had a knack for drawing and illustration from his school days. His cartoons and illustrations were being published in newspapers during his college days. He started his professional career as a cartoonist with Samaja. Later, he worked as a freelance cartoonist for The Indian Express, Delhi before joining National Herald in early 1990s as the Chief Cartoonist. Currently, Paresh Nath’s works are reproduced in publications like Bombay Samachar , the oldest Asian daily published from Mumbai, newsletters of United Nations Fund for Population Activities (UNFPA), CO-OP HORIZON- a fortnightly periodical by National Co-Op Union of India, Neighbourhood Flash – published from Delhi in five different editions covering urban, metropolitan and political issues and UT Independent – a political publication from Delhi and other union territories. 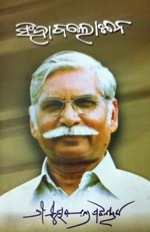 His funny, incisively wise, informative and never malicious cartoon pieces have touched millions of readers and have been reproduced in various newspapers and periodicals such as Financial Express, India Today, Illustrated Weekly of India, The SunZero Hour, Samayukta Karnataka, The Eastern Times, etc. He has also been associated to various online projects. Paresh has earned worldwide recognition for his work as the winner of the United Nations Correspondents Association Ranan Lurie Political Cartoon Award for the year 2000 in cartoon competition. He was invited to participate in the contest among the professional political cartoonists throughout the world. He has also won the Youth Federation Award and Delhi Sahitya Kala Parishad Award in 1987 and 1991 respectively for his cartoons. He is a member of the panel of jurors for international poster contest of UNFPA in year 1992 and 2000. He is also an empanelled cartoonist of DAVP of information & Broadcasting Ministry, Government of India. Besides drawing cartoons, he writes humour columns. He is also planning to write books on yoga and mysticism in near future. Bijayananda Biswal is not a professional cartoonist. He works as an executive in Indian Railways. Drawing cartoons is a hobby for him. However, he has won several cartoon competition including an international competition organized in November 2009 by Bangalore based Cartoon Academy. Bichitrananda Swain (born 1987), a trained journalist is a self taught cartoonist. Besides drawing cartoons in the Odia daily Suryaprava he draws illustrations for books. Soumyadev along with Sarashi and Santosh started a cartoonist’s group: AaltuFaltu in around 2005. They started drawing and exhibiting cartoons on political and social issues. Their cartoons appear regularly in Samadrusti from 2006. The author is a journalist turned media academician, who presently heads the Dhenkanal campus of Indian Institute of Mass Communication (IIMC) in Odisha. 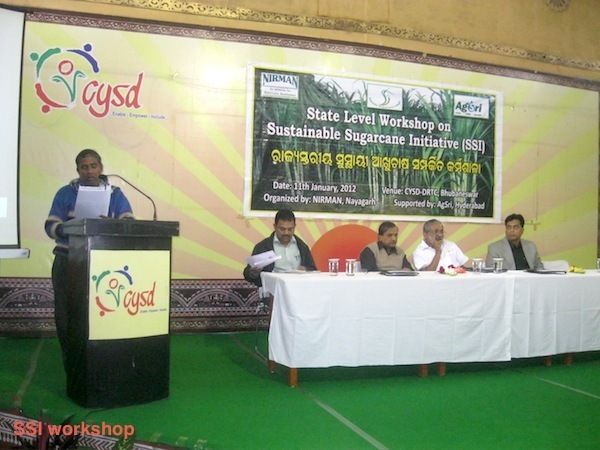 Farmers cultivating Sugarcane in a new innovative method called Sustainable Sugarcane Initiative (SSI) in Nayagarh, Ganjam and Baragada shared their experience in recently concluded State Level Workshop on Sustainable Sugarcane Initiative(SSI)organized by NIRMAN and AgSri in Bhubaneswar. 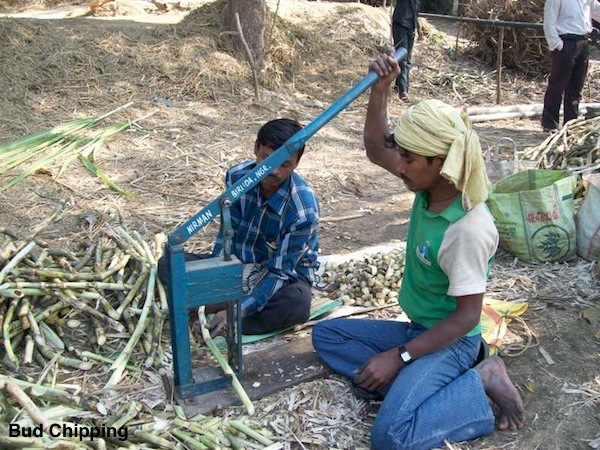 In traditional method of sugarcane cultivation, farmers spent Rs. 12,000 per acres in seed whereas in SSI the cost declines considerably. In the new method of SSI, farmers take only the bud of sugarcane and raise it in nursery and transplant in the field. In the new SSI method farmers not only save Rs. 12,000/- per acre in seeds but also save in water, labour and at the same time get a bonus from intercropping as the practice gives spaces between rows and plants. NabaKishor Das, a 48 years old farmer of Khairapati has earned Rs. 5200 from intercrops and Rs. 26000 from sale of buds to other farmers. During last 10 years sugarcane production in Orissa has been declining and productivity level is less than 70 tones/hactare which is less than the national average of 84 tonnes/ hectare.The requirement of water in the sugarcane is 2000 to 3000 litre for producing 1 kg of Sugarcane. The cost of cultivation in seeds, manures, labour traditional method of sugarcane farming is more. SSI aims to provide practical option to farmers in improving the productivity of land, water and labor. It responds to organic manure as well. Hence SSI reduces overall pressure on natural resources and contributes to recovery of ecosystem. Shri Aurobindo Behera, IAS, Member Board of Revenue, Mr. Ambika Nanda, State Program Officer, UNDP, Shri G.N. Mohanty, Jt. Director, Agriculture, Dr.P.K.Nayak , Prof Radhamohan, environmentalist participated in the workshop. Prasant Mohanty, of Nirman presented the experience of SSI in the workshop followed by experience sharing by farmers cultivating SSI. Successful farmer Shri Nishakar Pradhan from Ganjam, Shri Duryodhan Champatray of Nayagarh and Shri Dhaneswar Sahoo from Baragada were awarded in the function. More than hundred farmers from various districts participated in the state level workshop on SSI. One of interesting innovation by NIRMAN was use of raw Coco pith with manure mixed are being used in nursery raising otherwise it would have cost more for procuring processed coco-pith. The participants in the workshop opined that Government should take the learning of successful experiment of SSI and upscale it in big ways. The Central Government, specifically the Ministry of Railways never bother to serve Orissa in even fair proportion to benefits they derived from this State. The South Eastern Railways carry about 120 million MT of Iron Ore and Coal, a substantial portion from the mines of Bolani, Gorumahisani, Badam Pahar,Talcher etc. of Orissa. When the track from Lakhmannath Road to Bhadrakh of SE Rlys runs through Orissa, the SE Rlys extends up to Jharsuguda. These tracks takes the minerals. To say the least, about 45% of the total tracks of SE Rlys pass through Orissa, but Orissa gets a step motherly treatment in the matter of welfare, passenger amenities, stations or expansion and improvement of tracks or introduction of new trains. As if this was not enough after formation of new zones and new Railway Recruitment Boards in West Bengal and else where, the only Railways Recruitment Board (RRB) of Orissa located at Bhubaneswar has been debarred from supplying panels of candidates for recruitment of Asst. Station Masters, Goods Guard ,Asst Loco Pilot and all other categories of staff to SE Railway. Now this railway is bringing candidates from RRBs operating in Ranchi, Kolkata, Malda etc who are unwilling to work in Orissa area. On the other hand educated Oriya boys are deprived of this facility in the already shrinking government job market. 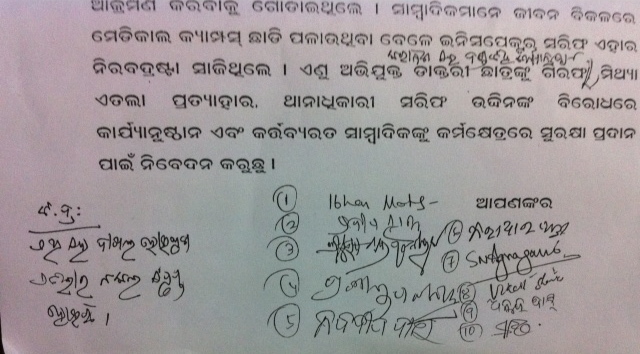 It is unfortunate that Orissa’s MPs and MLAs are not bothering about this foul play against the State. Vishakhapatnam Division of East Coast railway has a small portion of track in Andhra region; but because of alertness of Telegu MPs, 30% vacancies of Visakhapatnam division is filled up from panels obtained from RRB, Secunderabad to safeguard the interest of Telegus. 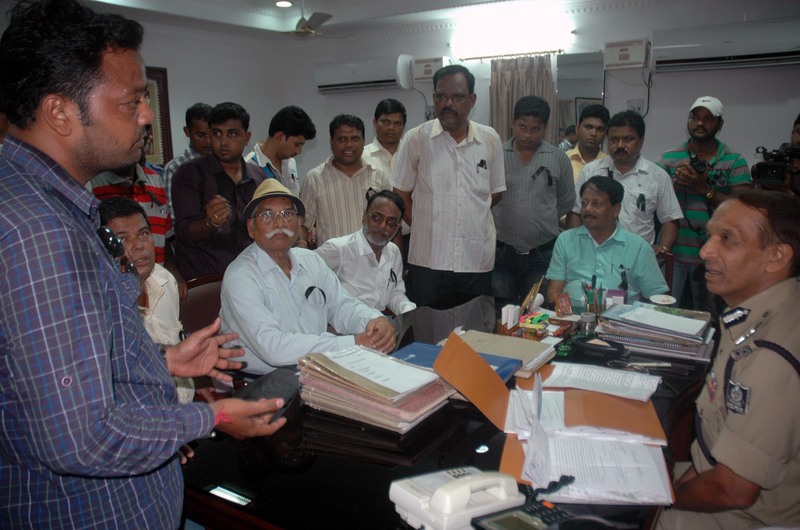 The Special Secretary for Railways in Orissa Government is doing nothing about it too. Will the Orissa MPs and MLAs rise from their slumber and instead of spending their time and energy in petty quarrels amongst themselves, look into this and work to protect the rights of Oriya boys? Eminent power engineer Nagendranath Mohapatra informs that India has witnessed 14% deficit in monsoon rainfall till mid-July. The water reservoirs are all at Minimum Draw Down Level (MDDL) that has caused concern about water availability for both irrigation and hydel power production at present. 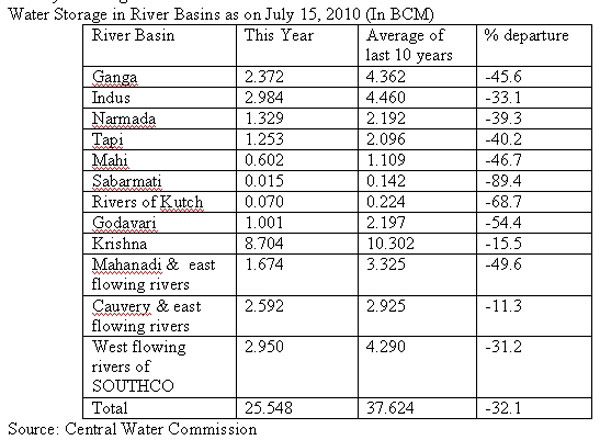 The total water storage in the country’s 81 major reservoirs was down 32% from the 10-year average level on July 15. As many as 79 of the 81 reservoirs monitored by Central Water Commission (CWC) are filled below 40% of their storage capacity. Dr. Jing-Jia, a Senior Scientist with the Climate Variation Predictability and Applicability Research Programme at Research Institute for Global Change (RIGC) under the Japan Agency for Marine Earth Science & Technology (JAMSTEC) based in Tokyo, Japan said that a monsoon-friendly La Nina condition has been established in the east equatorial Pacific Ocean and under its impact, “above normal” rains will be in August & September and even ¬¬¬¬beyond in autumn and winter in India setting an ideal condition for growing wheat, mustard etc. during ensuring Rabi season. Dr. Jing-Jia said he would not be surprised to see this La Nina condition to remain active for more than one year from now. Outside India, La Nina conditions are expected to lead to more rains/floods over North-Eastern China while hot/dry condition may emerge over South-East China and Southern Japan. Above normal rains are also indicated for Indonesia, Northern parts of South America and East-Africa during the fall and winter seasons. Many parts of Australia also might experience surplus rains from October, 2010 to early 2011. 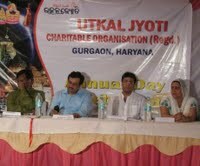 Utkal Jyoti Charitable Organization, the Gurgaon based association of Oriyas residing in Delhi, Noida, Ghaziabad and Gurgaon ( NCR ), in a special function has released a souvenir on contemporary Orissa on the occasion of its 5th annual day at the Vaishya Samaj Hall in Gurgaon, Haryana on May 23. Chairman of SNSMT, Shri.Suparno Satpathy, addressing the event as the chief guest, stressed upon devotion to social cause so that a better world to live in could be developed for the future generation. Presided over by the UJCO chairman Sanjay Behra , the event was graced by political activist Smt. Renu Kataria, P.K Mohapatra (IAS), Principal Resident Commissioner of Haryana and Dr. Subhakanta Behera (IFS) Joint Secy. Union Ministry of External Affairs as distinguished guests. When UJCO General Secretary A. Samal introduced the guests, AIR artist Suresh Sethi rendered a Bhajan recital and children of the Oriyia families residing in Gurgaon offered a beautifully performed cultural program.